Learn to use templates to easily create beautiful layouts! 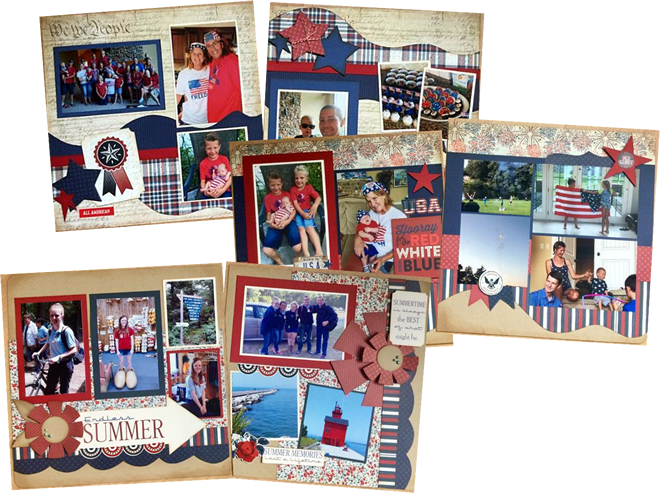 We’ll use the Photo Play Red, White, & Blue collection to make three 2-page layouts, perfect for summer photos. Bring Basic Class Kit, pencil, corner rounder, foam dots, & Glue Dots. Optional: brown Distress Ink & blending tool, & NUVO Drops: Neptune.